Every day, industrial and construction sites workers face the risk of serious injury because of someone’s negligence, carelessness or failure to warn of hidden dangers. Yet, many of these injured workers assume that they are only eligible to recover workers compensation benefits because they were working at the time. The attorneys at the law firm of Taylor & Ring know that this is often not the case. 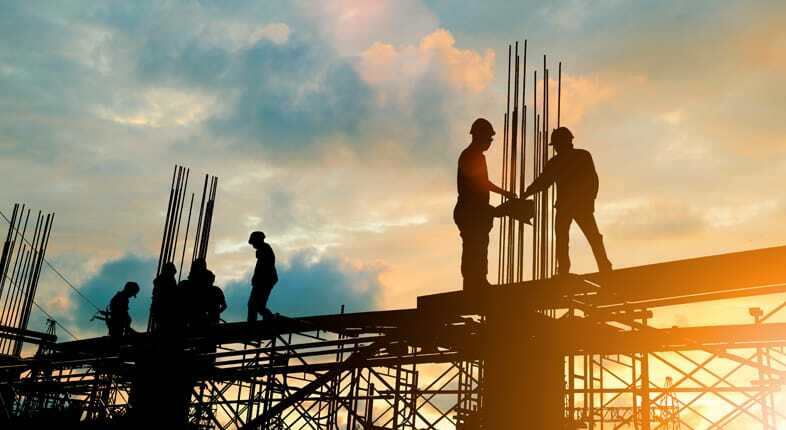 Our experience in construction site accident cases and industrial accident cases has provided us with the resources to investigate and prove circumstances where companies other than the injured worker’s employer were at fault. If you were injured in a workplace accident, it is important that you obtain representation from an experienced Los Angeles construction site accident lawyer to explore whether you are limited to workers’ compensation benefits or whether you can also recover full and fair compensation for your injuries because a third party caused the accident. Rely on our attorneys to provide you with guidance you can trust. $5 million settlement in a case involving a defectively designed power tool, which led to the death of the construction worker. $4.5 million settlement for a man who sustained injuries after falling off of a man-left that was found to have a design defect. OHSA violations. The Occupational Health and Safety Administration (OHSA) puts specific regulations in place to promote safety within the workplace. When employers fail to follow these federal standards, they negligently place workers at a significant risk of harm. Independent contractors’ right to control the work site. Industrial site owners and developers often bring on independent contractors to handle specific aspects of a project. When these parties are injured or negligently cause injury, disputes may arise regarding liability. These matters often involve questions over the classification of the worker as an independent contractor and the amount of control the contractor exercised over the worksite area. Defective products (scaffolding, ladders, machinery) at the work site. Workers on industrial and construction sites use various types of equipment and machinery to complete their jobs. While malfunctions may stem from improper maintenance, they may also result from defects in the design or manufacturing of the product. Under these circumstances, a third-party manufacturer or distributor may have some liability for resulting injuries. Contractual obligations between general contractor and subcontractors on the job. Industrial and construction sites often include subcontractors who work on particular tasks or projects. When these parties fail to meet reasonable duties of care, they may be liable for resulting injuries. However, the level of liability may depend on the terms of the agreement between the general contractor and the subcontractor. Developer’s or property owner’s liability. The worksite developer or property owner bears responsibility for maintaining the area in a reasonably safe manner. This may include regular inspections, replacement of faulty equipment and adequate supervision of workers. When these parties are negligent, our skilled Los Angeles construction site attorneys work to hold them accountable. While a high-dollar settlement is always welcome in a complex personal injury case, our lawyers know that trials are unavoidable under certain circumstances. That is why we earnestly work to prepare for the possibility of a rigorous trial. Our highly capable Los Angeles industrial site injury attorneys aggressively litigate cases involving construction site accidents, industrial accidents and other injuries in the workplace. We locate the key witnesses, co-workers, employees from other companies, and crew chiefs who may have been involved in the accident or the project. We take these witnesses’ depositions and also fight to obtain all of the necessary documents that prove workplace or safety violations that bring about our clients’ injuries. We are often battling several other companies and their lawyers in these cases, but our attorneys have the experience, and our firm has the financial resources, to match these defendants and bring justice to injured workers. If you were injured at a construction site, an industrial plant or in the workplace, do not be lulled into thinking your only remedy is workers’ compensation benefits. Workers’ compensation awards are notoriously low and may not adequately cover the extent of your injuries. Call Taylor & Ring at 310-776-6390 or complete our contact form to schedule a free consultation to learn more about how we can help. Your case may be appropriate for a third-party lawsuit against other businesses that contributed to the accident. You deserve compensation from all responsible parties.